One of these pictures has been doctored. Unfortunately, it's the green one. 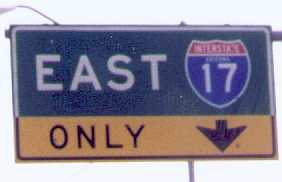 Arizona has started using the one-piece assemblies at interchanges, but is coloring them blue. 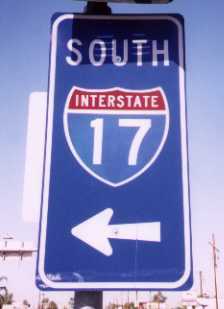 Their argument is that individual SOUTH, I-17, and arrow plates would be blue. 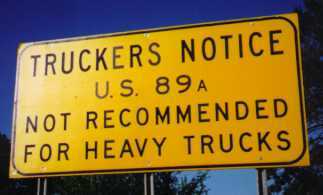 I don't buy it -- guide signs should be green. Which do you prefer? 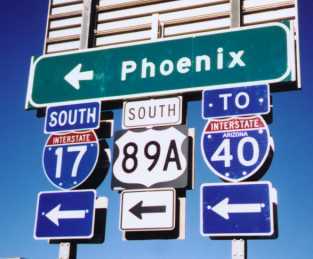 At the Sunset Point interchange on I-17, there's a very short frontage road paralleling the east side. 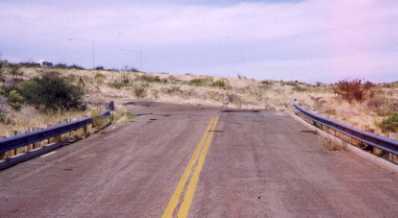 The south end of it connects to a dirt ranch road, but the north end just stops in the weeds. 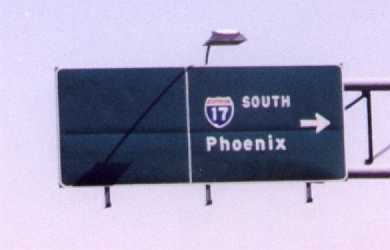 This may have been part of old AZ 69. I have no idea what this is. There's a small 26 in the lower left. 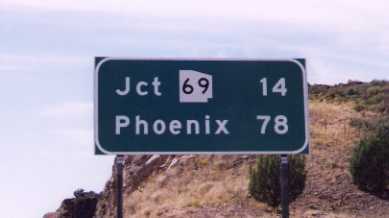 It's next to a milepost on AZ 89A (old US 89A) south of Jerome. 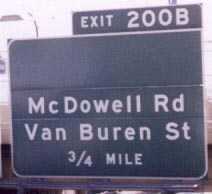 The Evil Knievel Highway? 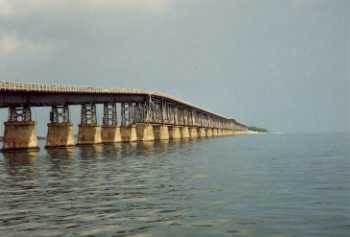 No, it's an old alignment of US 1 in the Florida Keys. 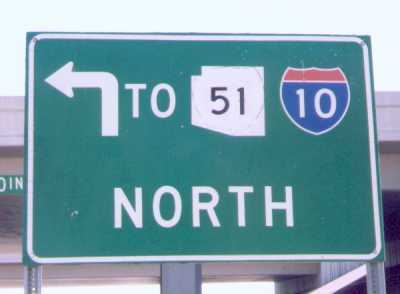 The new highway is off to the left. Here's a longer view. 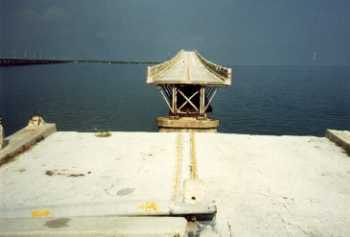 This stretch was built on top of an old railroad trestle. 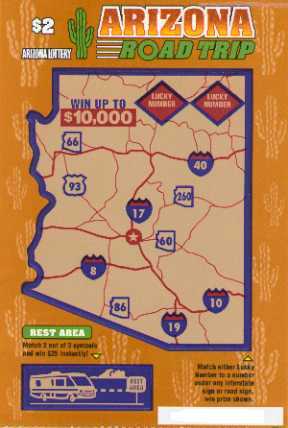 Don't use this lottery ticket to plan your next roadtrip. 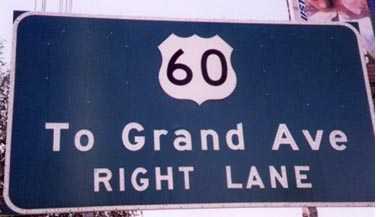 There's no such thing as AZ 60 -- they've mislabeled US 60. Don'tcha hate that? 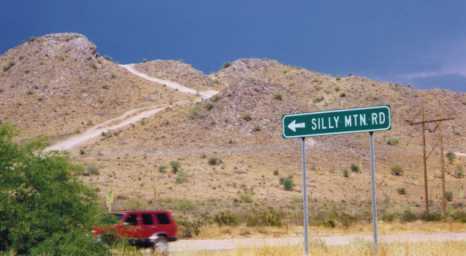 Also, although it doesn't show I-15, it does show the remote Mt. Trumbal Road in the northwest. 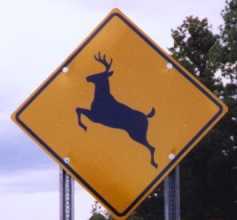 In addition to the conventional "Watch for Deer" signs, Arizona also has the more aggressive "Watch for Elk" signs. 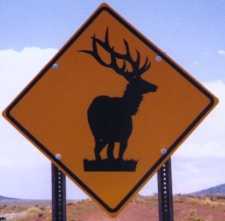 Look at the rack on that guy! Here's a couple I got on my vacation to Cape Cod. Not Arizona, but interesting nonetheless. 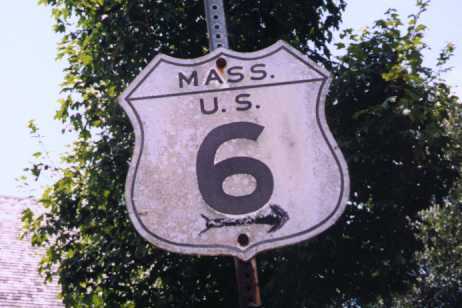 A cutout US 6 marker along an old alignment on Cape Cod. The hand-drawn arrow points to the current alignment. Watch that first step! 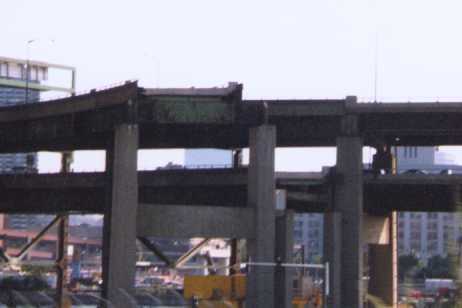 Ghost ramps off I-93 in Boston, to the former loop ramps to US 1. This double-decker monstrosity over the Charles River will be demolished and replaced with a cable-stayed "harp" bridge as part of the Big Dig project.